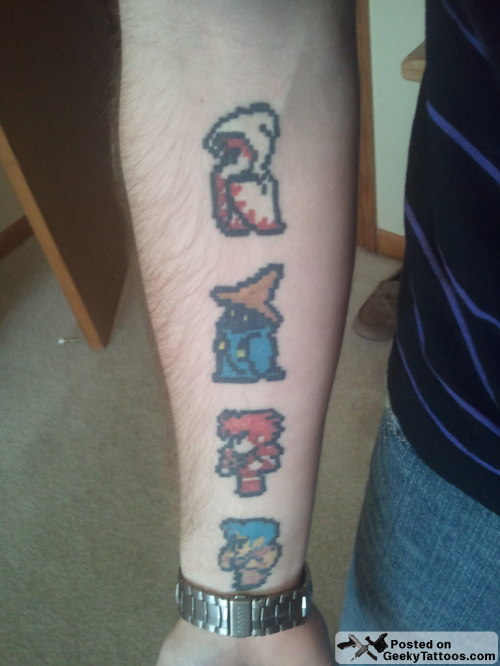 Daniel, a gamer since he could hold a controller and not put it directly in his mouth, started off with the Final Fantasy 1 tattoo (Thief, Fighter, Black Mage, and White Mage for those keeping track). 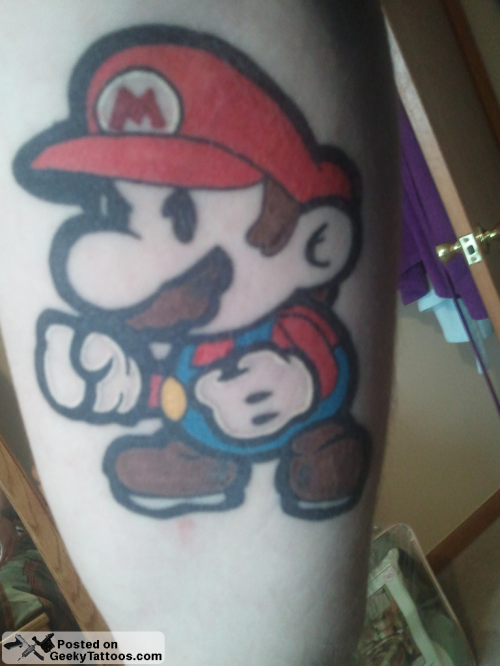 Then he added Paper Mario. 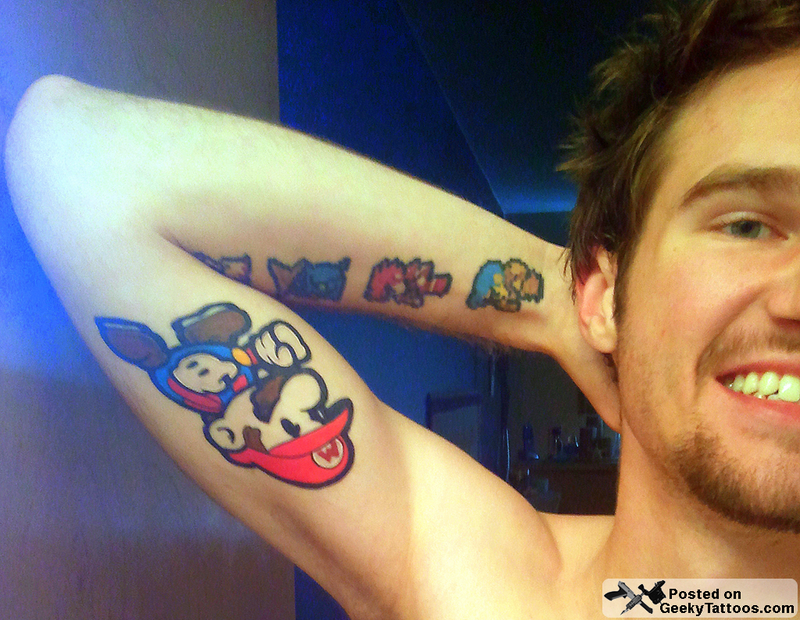 He says he’s not done yet and I’d have to agree as there’s plenty of space on his arm and so many more video games. Tagged with arm, bicep, Final Fantasy, forearm, Mario, Paper Mario.